Do Holi in Mathura or Vrindavan-It's Insane! Well written or should I say typed. However, the information given here is very limited. According to me ( I have been travelling throughout India since 2003 ) , a much easier way to describe India and her varied culture would be if state wise ( India has 29 states) information is given to the reader. I could give valuable information for your blog as to which cities and towns travelers can choose based on their interests. ( History, Culture, Arts, Scenic beauty, Hill stations, Religion and Spirituality, Etc. Thank you for your input Karl. I would agree that doing a state by state guide would be helpful, however this is a travel blog and we only went to the places we went which includes only a few states. If we categorized Tamil Nadu for example there would only be one article. We were really only a two places in Himachal Pradesh, One place in Uttarakhand, One Place in Punjab, A few places in Uttar Pradesh, and Rajasthan. Would you like to write a few articles on India? I would be more than pleased to publish them here as long as they are only posted on this site. If they are posted elsewhere, it affects my google ranking as a duplicate. Feel free to email me articles you wish to publish to brady@theindefinitejourney.com. Thanks for reading! Karl: That was rude…dude…I have been living in INDIA for my whole life….and i would probably give more than 10s of thousands of more information than you. So instead of giving praise to their work you babble the information is not enough…do you have such site like this…no…lol I PITY YOU!! Ashutosh Mishra – Now THAT is rude….dude. Karl’s remarks were correct and there was nothing offensive about this at all. In fact you are coming across as a moron …soryy to use the word. And please do not speak on behalf of ‘WE INDIANS’. It’s common to come across people like Ashutosh, who just can’t stop highlighting mistakes(Read-Skills in English) no matter how small it may be. It feels nice reading such a blog about our nation India. India is really a country with diverse culture and people and its takes a good amount of time to understand its culture and time. I don’t know how long your trip was, but hoping it was the good and you have got a lots of good memories. Hope to visit you again, especially my state. Thank you so much Neeraj! We were in India for around 2 months. It was great and mostly focused in the North. We are going to try to visit the South and East another time. What state are you from TC? I’m not sure about his state but TC means Take Care. No, We didn’t go to Mumbai. We had enough of the big cities with Delhi for this trip. However, might go the next time we visit India. We will focus more on the south and probably us Mumbai as a jumping point for places like the Ellora Caves etc. Plus we really want to see a game of Cricket in Mumbai or Pune. Is that where you are from? I am from mumbai. To see game of cricket you should plan in april-may . You can watch ipl (https://en.wikipedia.org/wiki/Indian_Premier_League ) match in mumbai or pune. It is shorter fun version of cricket match which attracts huge crowd. Getting tickets for International match of india in mumbai is tough task. Yeah, I am ok just going to a IPL match. It would just be fun to see it live. A International thing would be fun, but you are right, finding tickets or spending a bunch of money to go, is not realistic for me. April-May-June .. would be the worst time to visit anywhere in India, except the Himalayas. Will do next time I am in India! Next time u should visit North East India ! Atleast Shillong ! Absolutely! It is on our list of places we want to visit! Thanks for commenting! Do consider to visit Odisha also! We will definitely visit Odisha and get some fish curries. We have heard great things about Odisha! Thanks for commenting. Fantastic Shreedhar! Sounds wonderful. Monsoon will be nice and cool and a little rain never hurts! Thanks for posting on the site! Thank you Shreedhar. Thanks for commenting. you should must visit BIHAR where you can explore the mahabodhi temple.the place where THE BUDDHA born and earned moksha.And world’s first university NALANDA UNIVERSITY. Your blog is really nice. I visited this as you told about your blog in Quora. Next time you can visit different places in South like Kerela(literally everything), Hyderabad(best Biryani and Necklace road), Visakhapatnam(beach and food), Pondicherry(french architecture), Karnataka (jog Waterfalls). For North-East India Arunachal Pradesh (Tawang Monastery and Nuranang Falls), Sikkim (Nathu La Pass), Meghalaya (Cherrapunji), Darjeeling (Tea and Sandakphu Trek) and the list never ends. Hope it helps. Wow! Some great suggestions! I am sure I am not the only one who will benefit from this list. There are many places in India… too many. But I will put some of these on my list. Thanks for giving us this list of great things to do India! Maybe we will see ya there! You are welcome Rasika! India will forever hold a special place in my heart and many of the reasons are people like you. Read your blog and the comments from readers…excellent…i even did not went that many places as you went 🙂 …Well India is a great country as every one knows in the world, we always welcome you guys and explore our nation. Why don’t you change the Indian map…what ever you have the indian map is not filled completely ..especially in jammu and kashmir state. 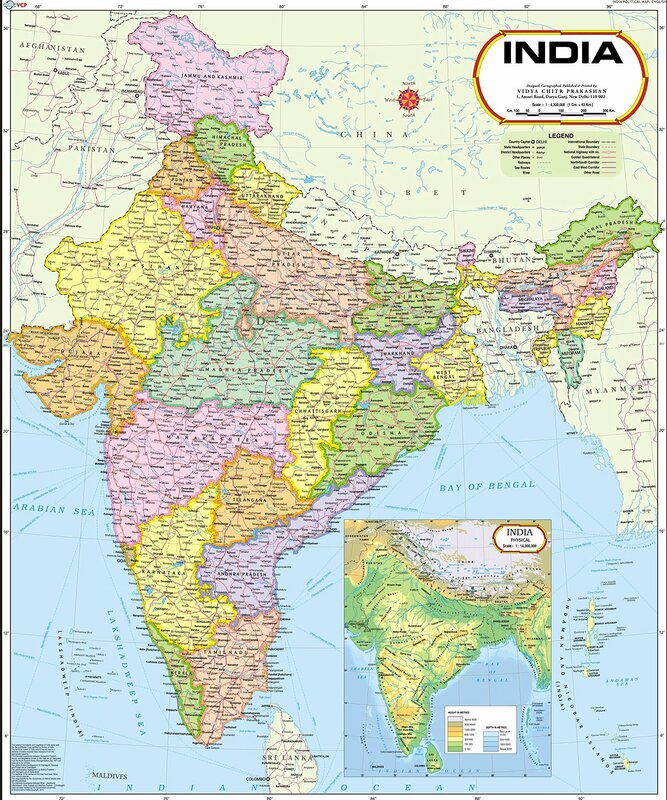 this state is is a head of our nation …we called as Bharat matha….that means mother of india…..in this map jammu and kasmir as head of bharath mata….this may be sounds like fun for you guys but it will hurt our feelings. This is my request to you to change the Indian map with original map. You are absolutely right! Thanks for bringing this to my attention. The States of Jammu and Kashmir were cut off for some reason. I have uploaded a new map. However didn’t mention the Bharatha Mata. Thanks again! Thanks Akanksha! Appreciate the good words! We actually went to Goa, just didn’t write a post about during on a beach for a week. The other places will be another trip. Thanks for stopping by And commenting! Okay so i was browsing facebook then a link led me to quora and then one more link brought me to your answer on quora about how dangerous INDIA is for forgeingers xD, you were quite sarcastic while answering him but i really liked it so followed your blog’s link to read some posts. And i must say you described all the things very beautifully and in very detail. People here are lubb <3 you just need to be the approaching one because people here are not confident enough and you should also stay ready to tolerate the terrible english and also never mind that Stare. We have this very bad habbit of starring and it has nothing to do with how you look and all. Just get along with people here so that you can explore the best part about India. India's beauty doesn't lies in nature only, our people completes it. And you guys look great together. hope you visit again soon. Thank you so much Deepak! Fantastic compliments! We humbly thank you for saying such nice things about us. We loved the people of India and the beauty of the country equally. If you get a chance look up some of the other Quora posts I wrote about the people and you will see how much of an impression your country has made on us. Thank you for stopping by and commenting. It’s the comments that people leave, that makes us feel good about what we are doing. We are glad to make others happy as well! Thanks again! Thank you man for writing such beautiful words for my country. I’m from Jaipur ,Rajasthan, India. I guess you visited Jaipur, but you don’t mentioned here. here in Rajasthan , lots of beautiful places like Udaipur , next time try to explore more in Rajasthan , like Alwar , Jaisalmer, Kota etc. cities of Rajasthan. I’m sure you like them. It is my pleasure! I enjoyed India and will do so again some day in the future. We did go to Jaipur, yet we were only there for a couple days. We stayed in a nice Haveli and toured around the pink city. We didn’t make it to Alwar or Jaisalmer, nor Kota, but we loved Rajasthan and will be back again someday to explore some more. Thanks for coming by and commenting on the blog, we appreciate it! Soon! We will go back to India and explore the south some, we will most undoubtedly partake in the culture as well. It’s the culture that we crave and India is loaded with it. Thanks for coming to the blog to comment. I am delighted that you have chosen the KESAR DA DHABHA thali pic for the food as it is indeed one of the best Restaurants in Amritsar , the perfect gastronomical town of the North famous for its Non veg delicacies as well. Food in India can never be generalised as each state have their own speciality of delicacies (veg and non veg) and it can be relished locally only . A dosa in Delhi or a Chola bhatura in Tamil nadu won’t do anybody justice. Hope you visit again and enjoy. But I would like to ask how you decide where to eat in each city? Thanks for commenting Achin! We chose Kesar da Dhabha after seeing it on a US television show about travel and food. We knew that if we were going to Amritsar we would go there and sample the food ourselves. Many times to find a place to eat, we ask the locals where we should eat. Many times we find places on our own by walking or riding by. In Chennai we asked our tuk tuk driver where he would go eat if he could eat anywhere in the city, he took us to a hotel that served great food and we bought his lunch too. Eating non-veg was a new thing for us and we couldn’t believe how easy it was to do in India. We can’t wait to spend more time eating the spicy food in the South the next time we visit India and the dishes yet discovered in the East. Good site to refer and get true opinion, I do feel very sad for your bad experience in Chennai. Unlike other places in India, Chennai don’t have too much tourists attractions. The best thing in Chennai is the people and is bit bad you had experienced the other way. Keep travelling in India and write more about the country. It wasn’t Chennai we had the issues. We had a fine time in Chennai. It was Delhi we had issues with scams. Thank you for coming by and sharing with us on our blog! Hey Brady …. Visit Kerala next time …. Its amazing ….. Nice blog and nice pics …. really good …. Great blog with such a complete information. However, something is missing up there. People often argue that Buddhism is not a religion, but millions of people follow it as a religion. It was originated in India during the 5th century BCE which probably makes it the first religion in India (not sure about brahmanism and their casteism though hahaha…). Anyway, please do mention Buddhism in above. Thank you Sam, I have made the correction per your suggestions. I see there are an estimated 8 million buddhists less than 1%, however due to the history and the Buddhists in the McLeod Ganj, I think it does value mentioning. Thanks! Brady: Thanks so much for the write up that I saw on Quora. I just cant tell how happy was I see your perspectives on India and its citizens. Do enjoy and in case you do visit Indore in the state of Madhya Pradesh, do give a shout by responding to this message !! Alright! Thanks for stopping by, and leaving your kind words! We are glad you liked the write-ups. If I am in the neighborhood, I will look you up! The link of your blog in Quora.com took me here and I am really glad to see someone from from such a long distant country (that’s USA) has liking for our motherland. I hope you visit India many a times in the near future to taste the real India. BTW, I am from the eastern part of India and I live in Kolkata (the place of Mother Teresa). Please come and visit our state and discover the cultural capital of India at your best interest man. Thanks again for visiting India. Please keep penning more. Have a great day Brady. Thank you so much for the inspiring me to continue writing! If I am ever in Kolkata I will stop by and see ya! 🙂 Thanks again Jayanta! Amazing website and great posts .. ऊपर वालों ने अपनी मोहब्बत के सदक़े में हम सबके लिए ये धरती बनाई थी पर मोहब्बत के दुश्मनों ने इस पर लकीरें खींच कर सरहदें बना दीं .. (God created this earth as a whole through charity and love , but enemies of love drew borders around it ) .. Good to see you cross these borders and come to explore ..
Next time you can visit the west and south .. I stay in Pune .. if you ever visit pune , do let me know ..
Will do Anush! Thanks so much for the good words too. If I am back in Pune, we will go check out a cricket game. Great !! Just check before whenevr you come because the ground wont be hosting any ipl matches atleast this year because pune isnt part of the ipl this year !!! But there are a lot of other things you can check out and for the ipl you can go to mumbai which is like just 3-4 hours from pune !! Fantastic blog.Please visit Hyderabad which is in the youngest state Telangana. Hyderabad has some amazing placed like Golconda fort, Charminar,Tank bund,Falaknuma palace,Chowmahalla palace & many more.Don’t forget to relish our signature dish Hyderabadi biryani.You will love it. Next time do visit West Bengal (Kolkata,Siliguri,Darjeeling) and Sikkim (Gangtok). You will like the places. Thanks for stopping by Chinmoy. Bengal is definitely on the list of places to visit. I am sure we will like those places! I suggest you visit North East India. And if you do so do drop by for the Great Hornbill Festival in Nagaland in Dec and experience both the cold and warm feelings like never before. I want you to visit North-East India, having said that, you will have to land a step in Guwahati (Assam) and do that by road( believe me it’s fun) the roads will take you rigth through the local hills and peaks and right before you are about to enter Guwahati, you will be greeted by the Brahmaputra river and peaks surrounded by mist and fog. Thanks Riki , this is my dream to stay in those places some day. There’s so much to experience. Try meenakshi amman temple in madurai and bhregadeeswar temple in Tanjore , Tamilnadu.. World class architecture with 1000 to 2000 or more older temples you can see which are much better and astonishingly much better than 7 wonders of world because of its gigantic works..